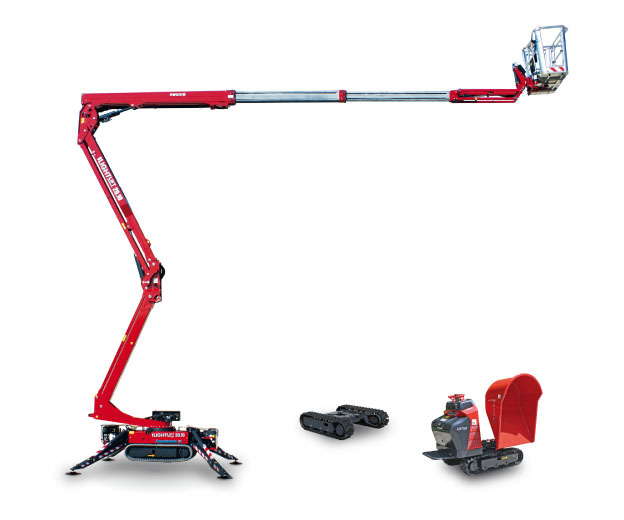 For over thirty years, innovation, enterprise and a highly professional approach have been behind Hinowa’s philosophy for manufacturing aerial and earthmoving machinery. Hinowa was founded in 1987 in Nogara, in the Italian province of Verona. Its products are the result of a long family tradition in mechanical engineering and the manufacture of tracked machinery. The company has continued to innovate by developing compact, high-performance equipment, adapted to everyday work, as an alternative to conventional heavy machinery that are unsuitable for accessing difficult locations. This constantly evolving company has demonstrated the qualities which have led to the Hinowa brand and its products being widely acclaimed both in Italy and abroad. Hinowa has produced powerful and highly manoeuvrable machinery by employing versatile tracked undercarriages which have proved to be excellent work tools in a wide variety of industries. The company currently occupies an area of 90,000 square metres, of which 27,000 are under cover. It has opted to invest in internationalisation, by setting up centres of excellence in Europe, the Americas, Australia and Asia.